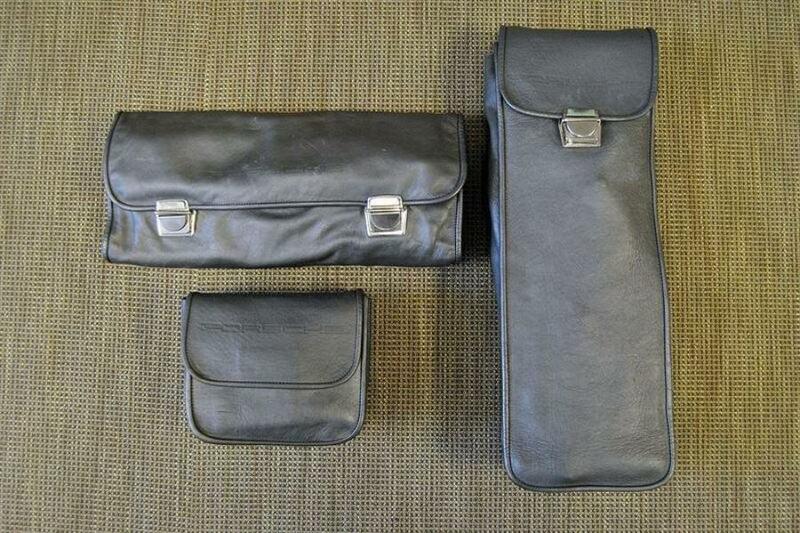 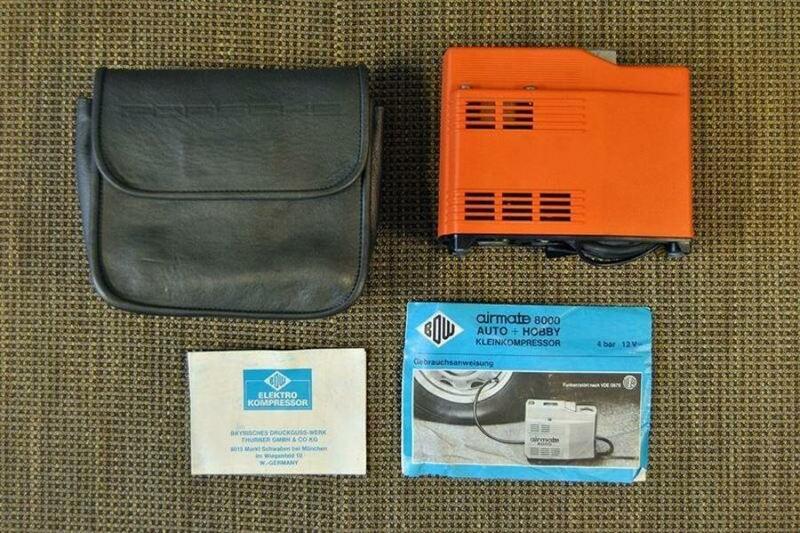 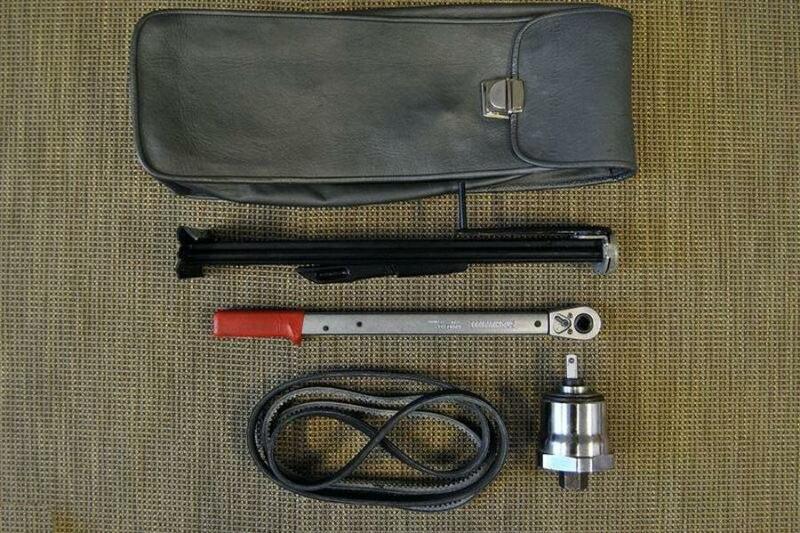 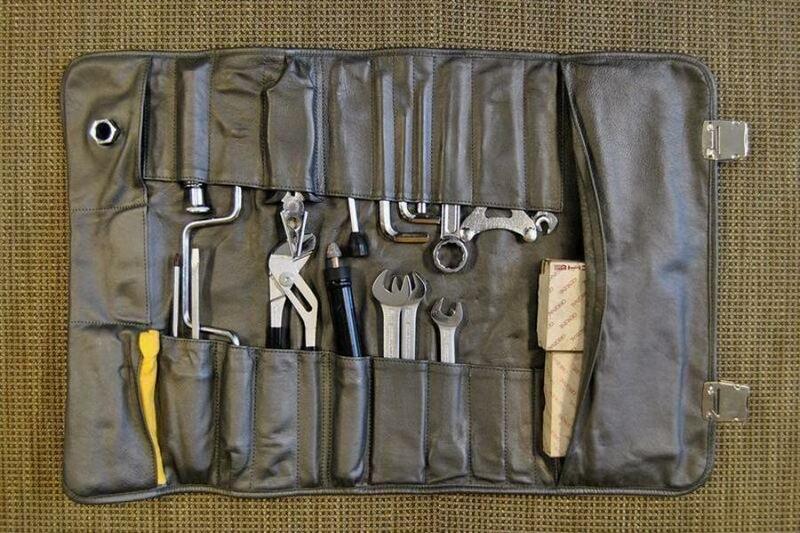 Complete with its original tool roll, air compressor, jack, wheel wrench and socket. 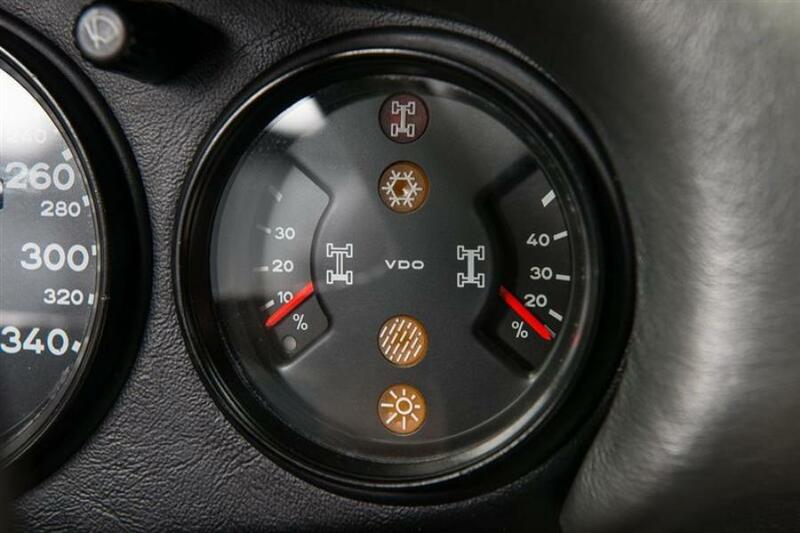 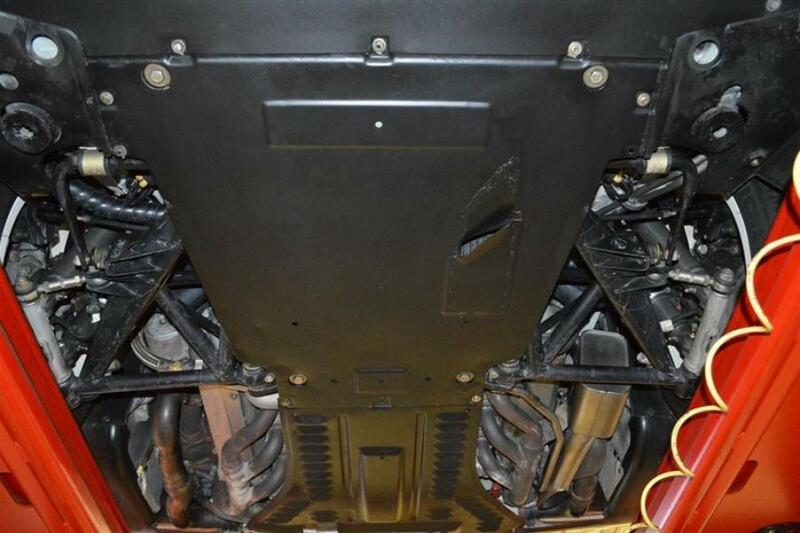 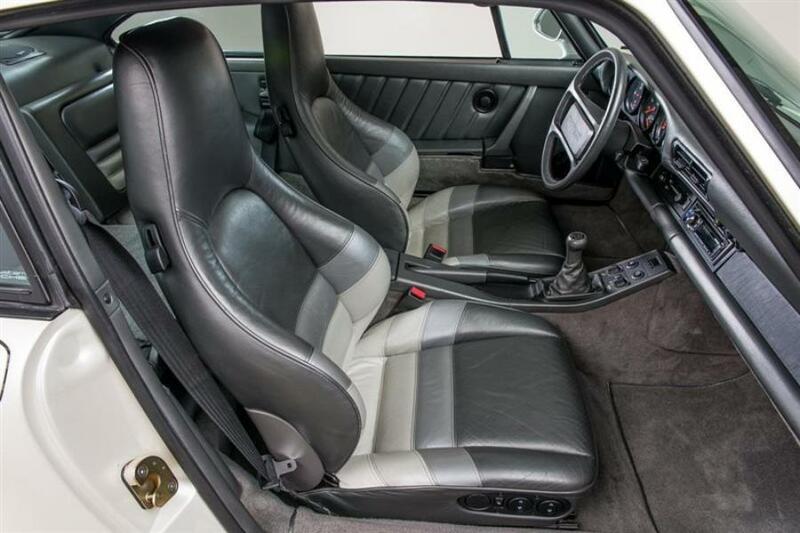 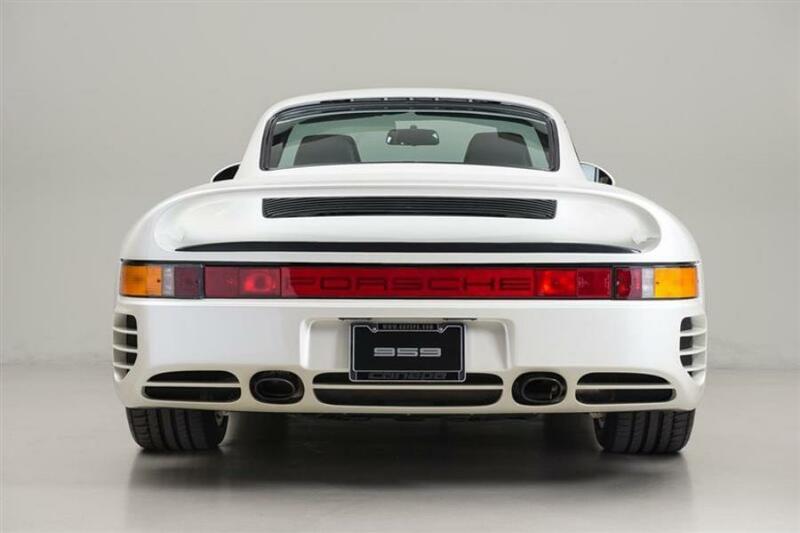 The twin-turbo charged, all-wheel-drive Porsche 959 was by far the most technologically advanced sports car of its day. The timeless styling, state-of-the-art systems, and superior driving characteristics made it one of the greatest automobiles ever built. 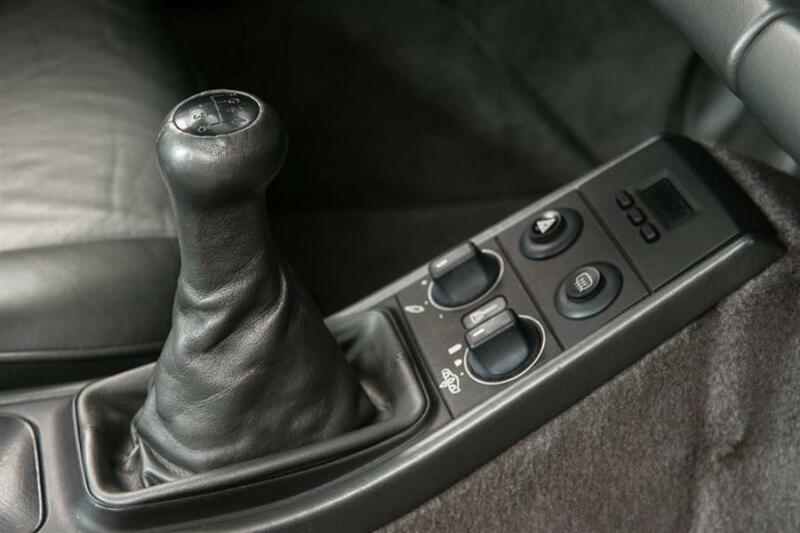 With less than 300 ever constructed how do you make this technological marvel more unique? 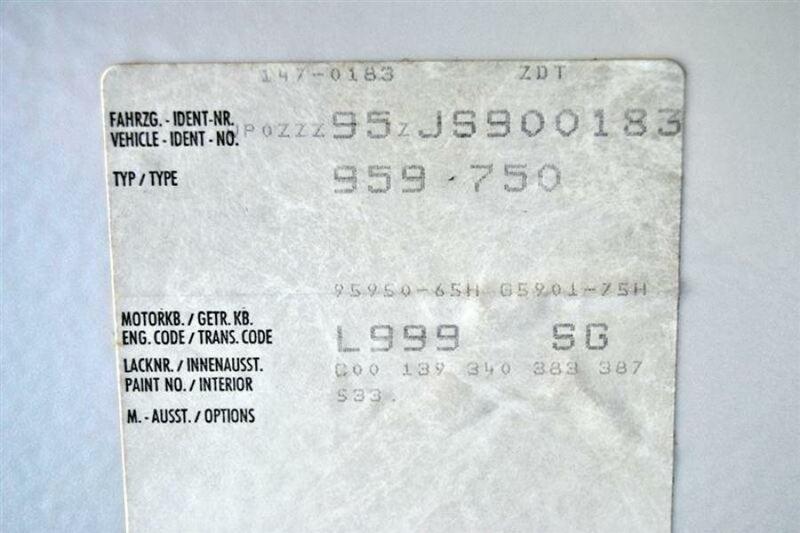 A custom paint job from the factory, of course. 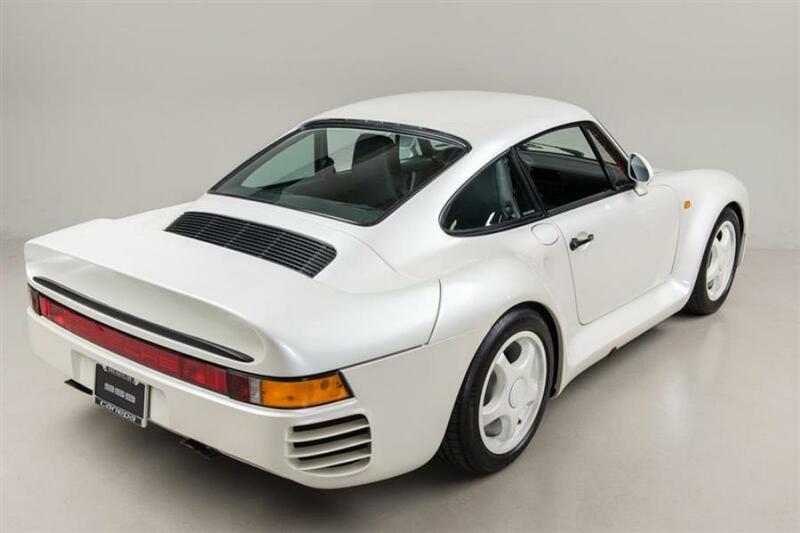 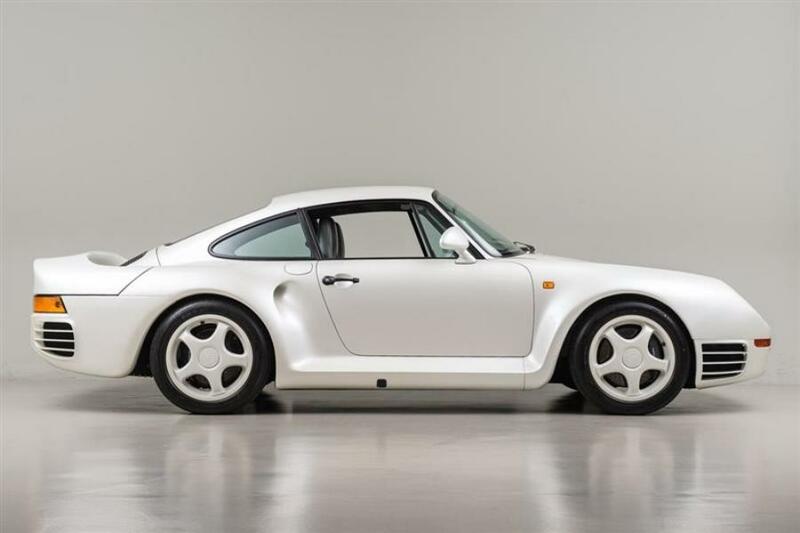 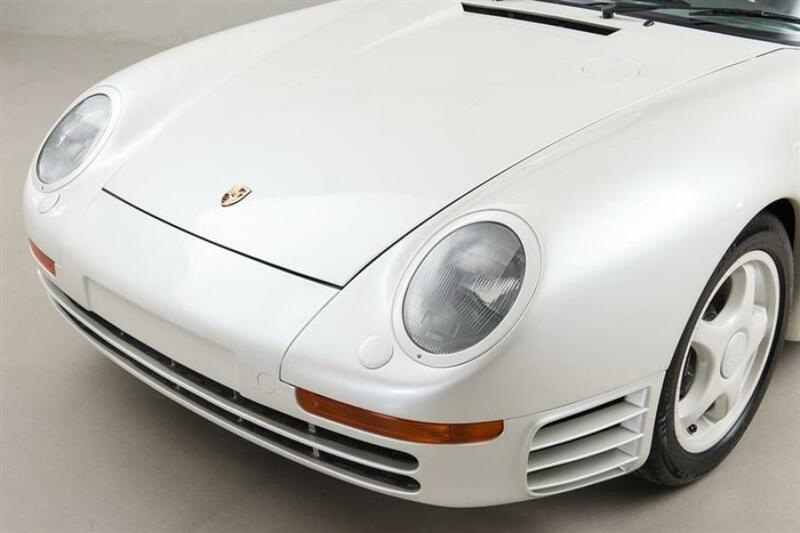 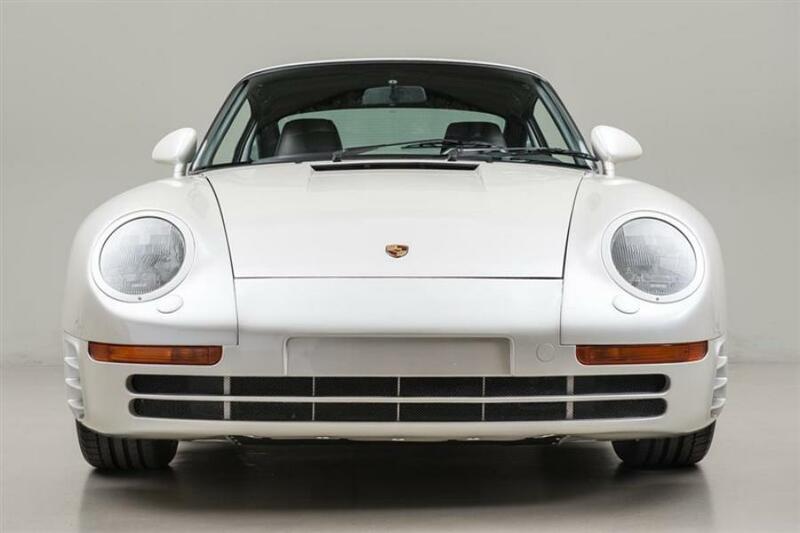 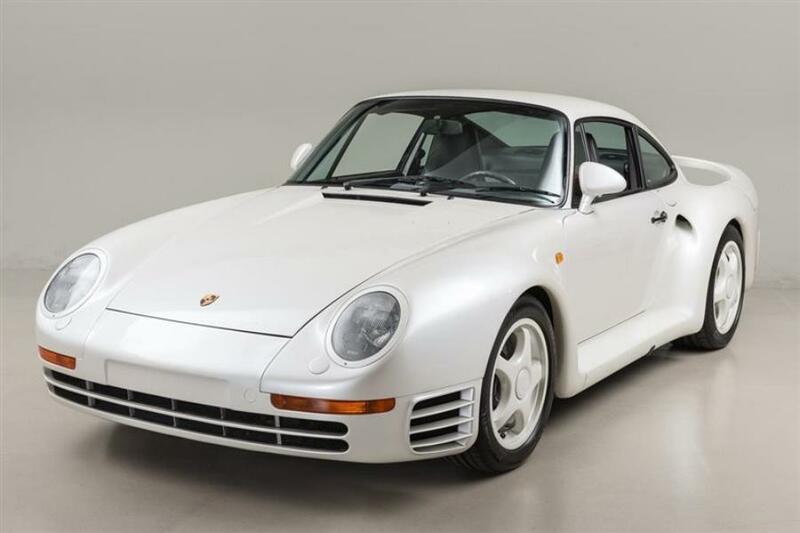 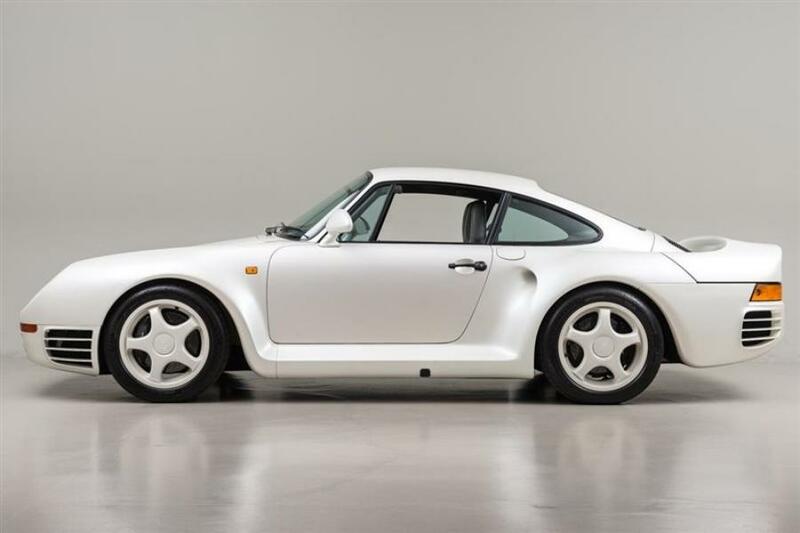 This 959's Pearl White paint was a special ordered "paint to sample", and is thought to be the only 959 ever built in this color combination. 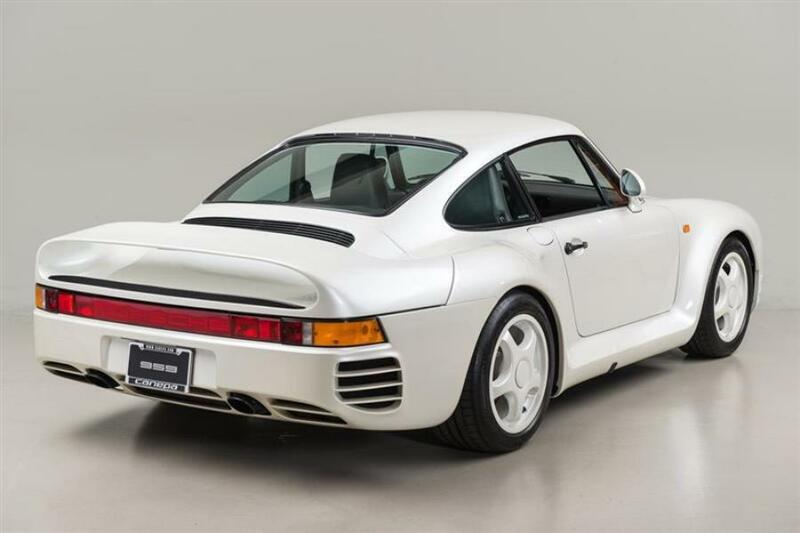 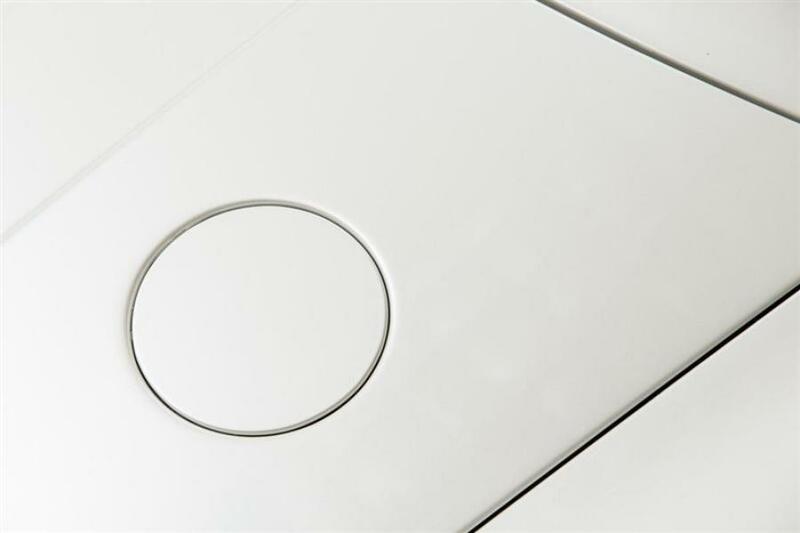 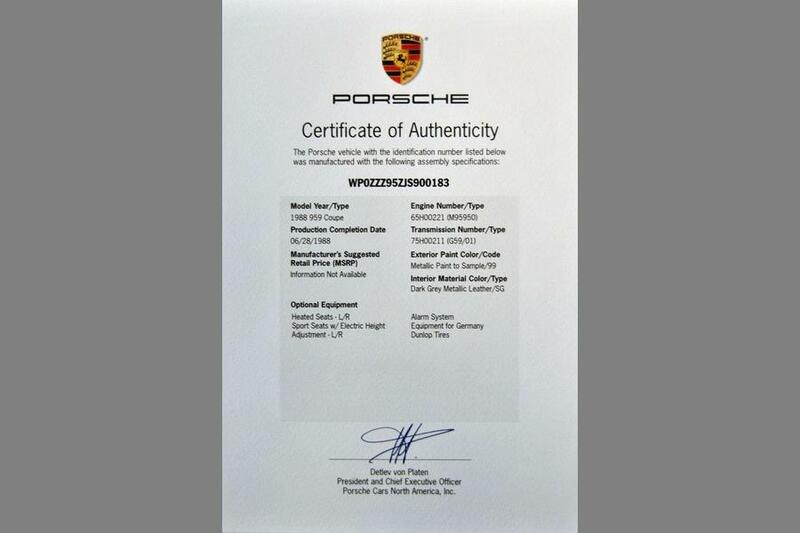 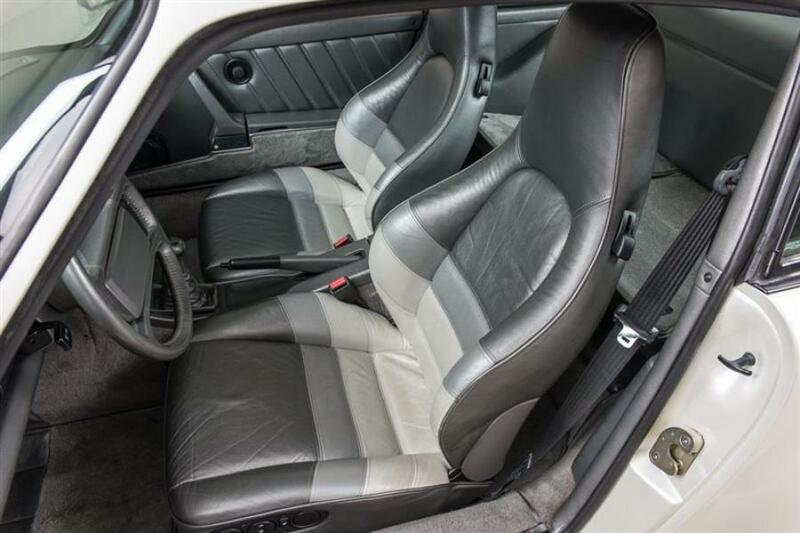 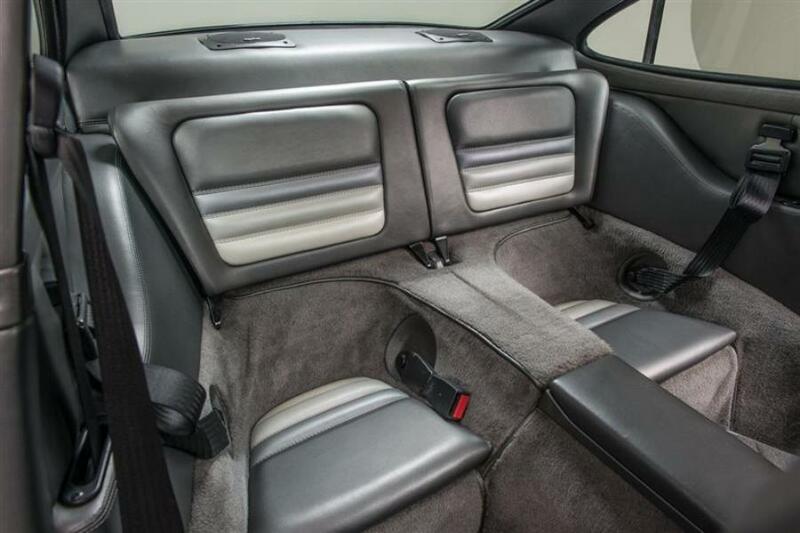 Completed at the Porsche factory on in June of 1988, 183 was destine for the shores of Japan. 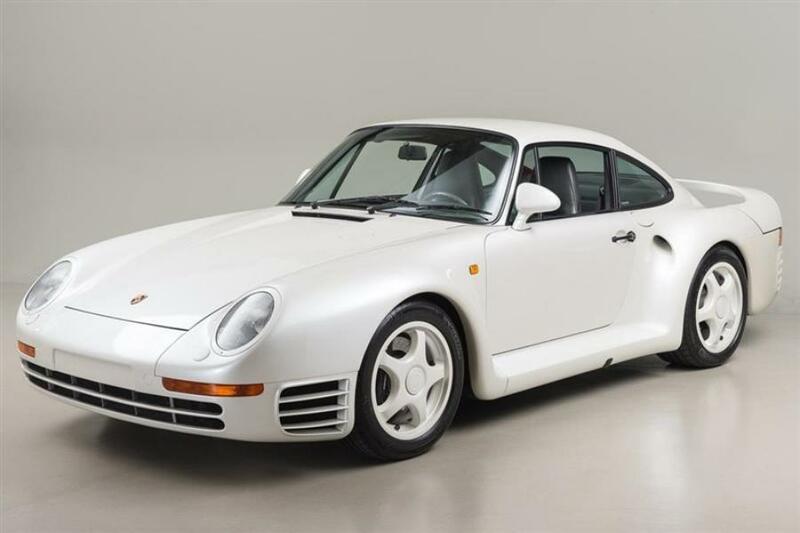 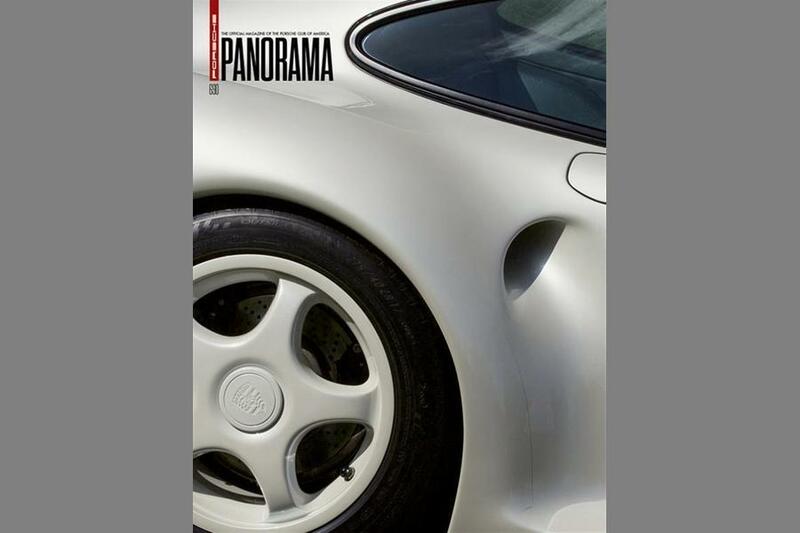 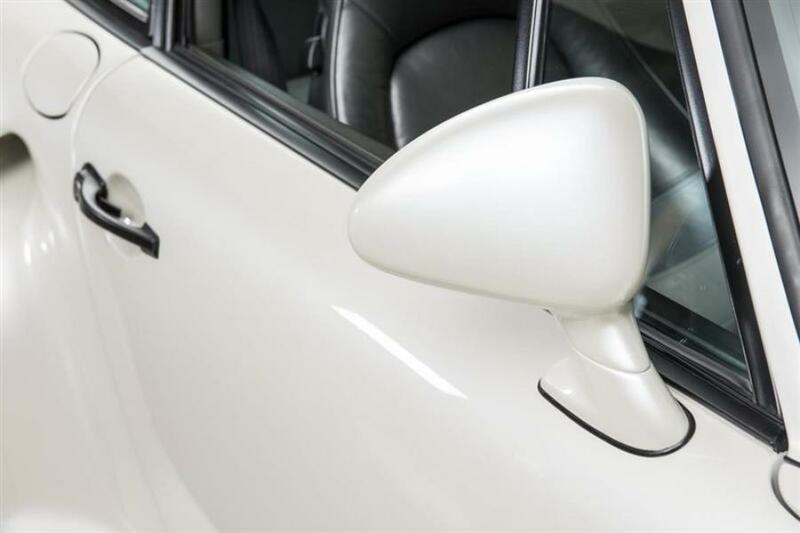 A one-owner car, the 959 was used primarily as a vacation car to travel from the owner's home in Tokyo to his mountain villas in Nasu and Karuizawa. In the off-season the cherished 959 was always stored in his Tokyo condominium's air-conditioned parking lot. 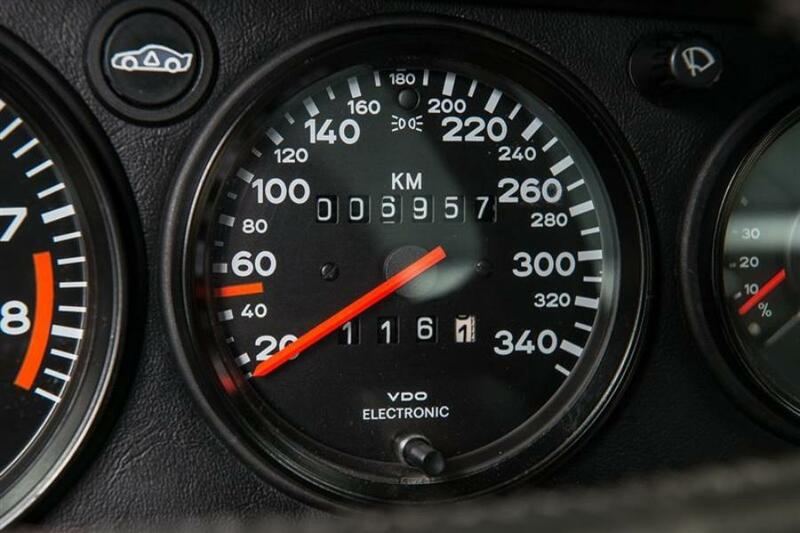 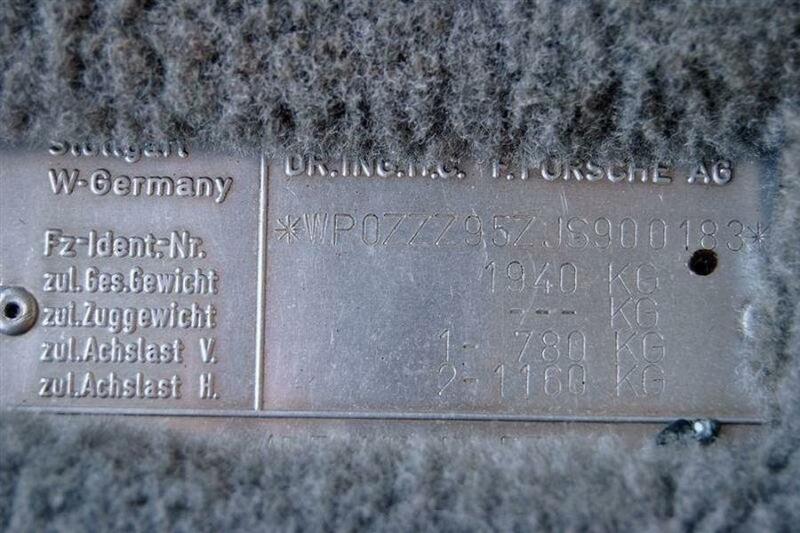 In more recent years, as the car became more collectable, he retired the car from service, which resulted in it accumulating only 3960 miles (6374 km) in the past 24 years. 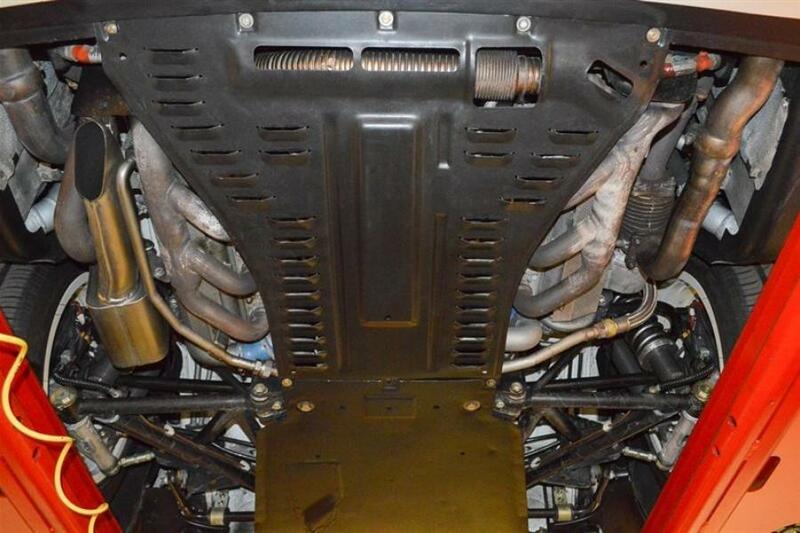 Canepa Suspension Upgrade: includes the removal of all of the hydraulic suspension componentry. 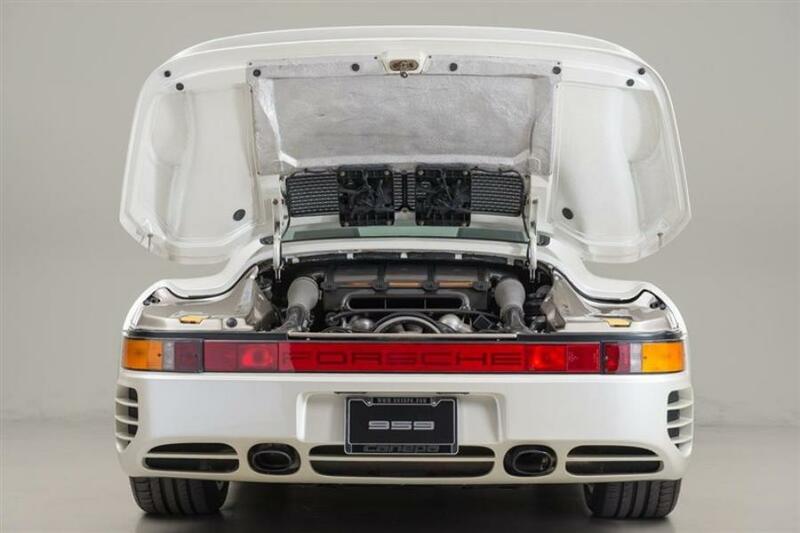 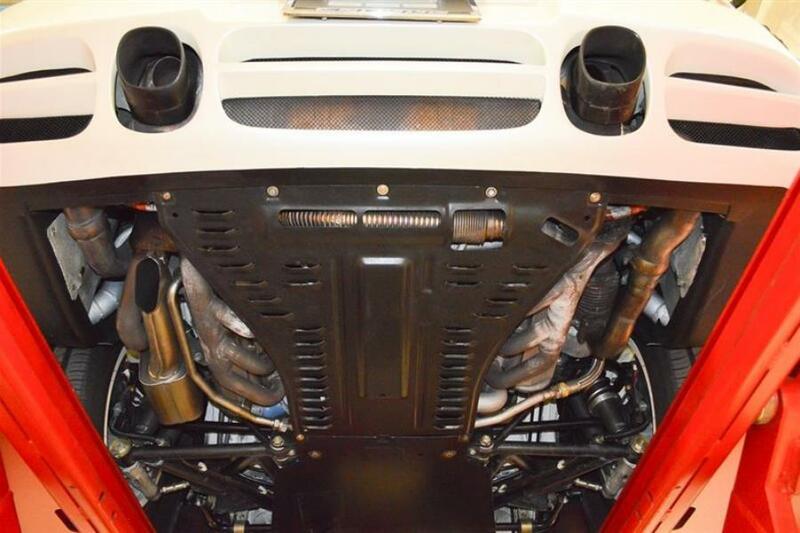 In their place we install proprietary Canepa titanium coil-over springs and hand-built, custom valved Bilsten shocks bring the car to 959S specs. 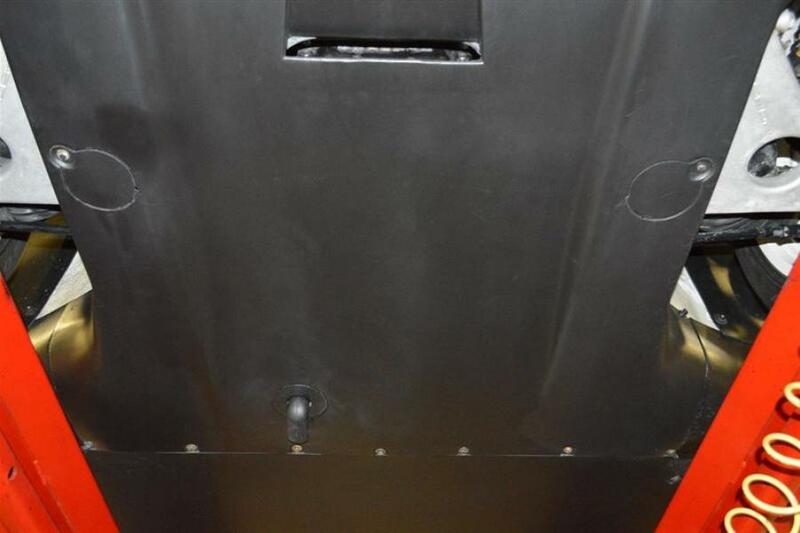 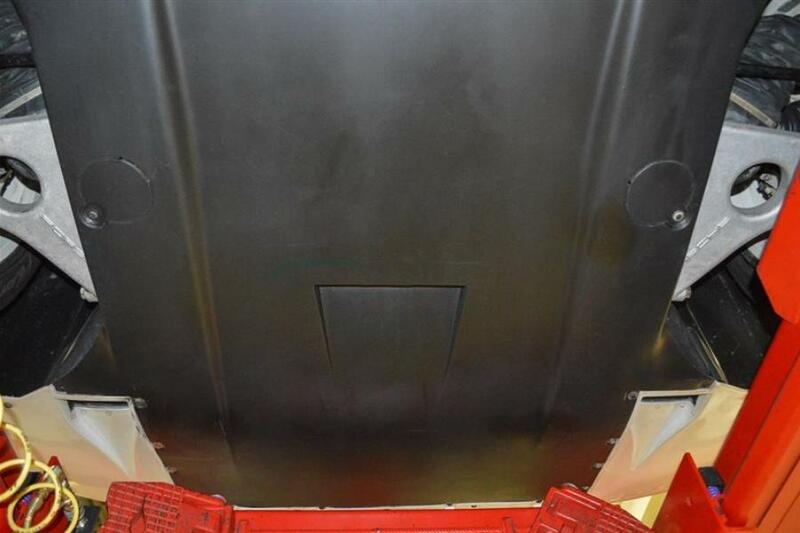 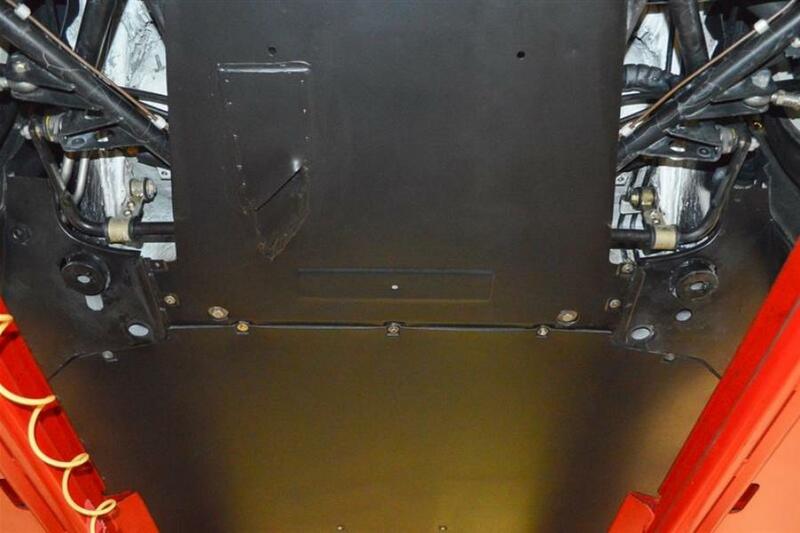 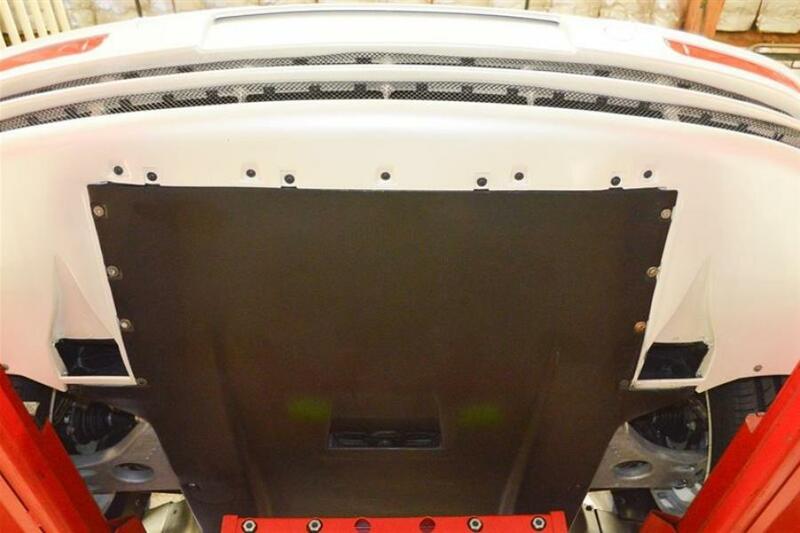 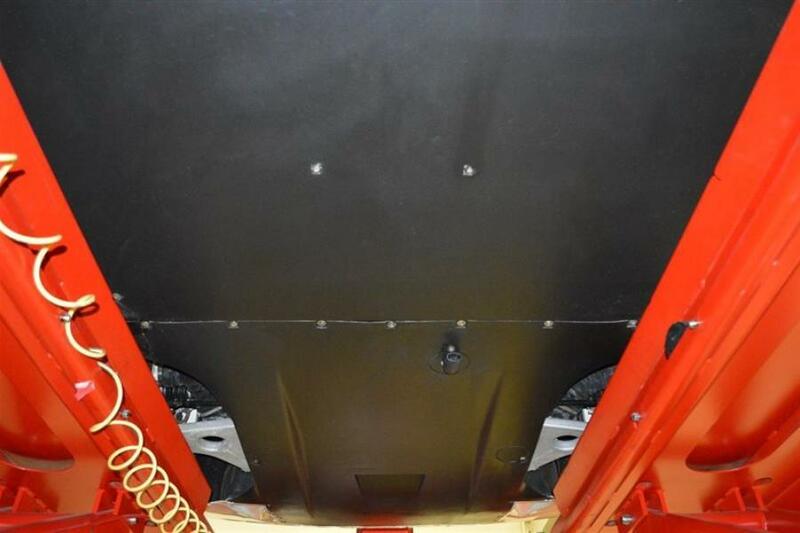 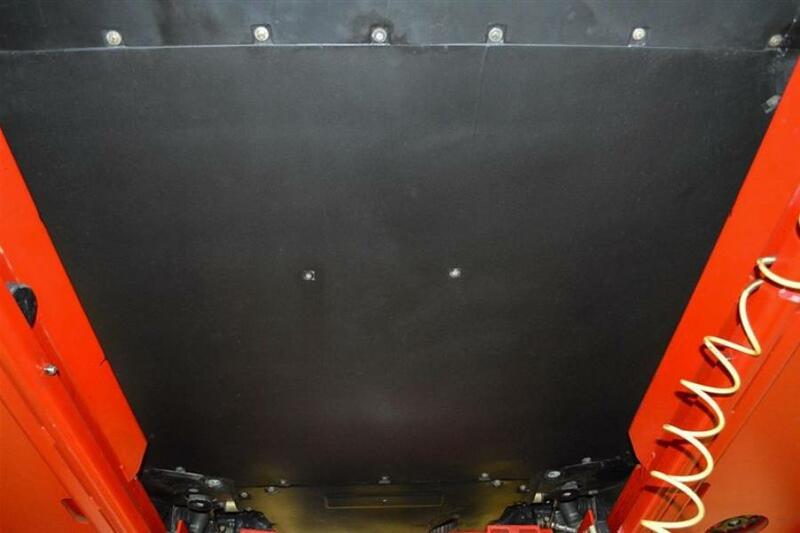 Following the install is a four-wheel alignment, ride height adjustment, and chassis corner weight balance. 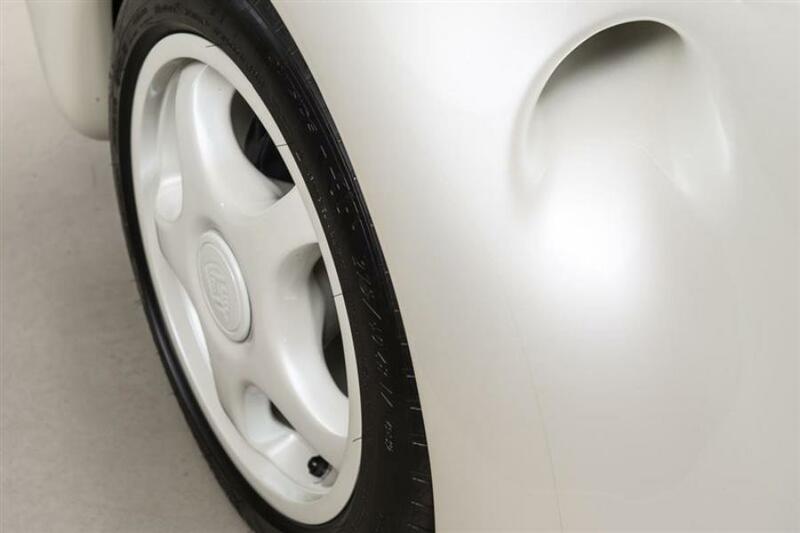 Canepa Wheel Bead Modification: we modify the 959's lightweight magnesium wheels to allow the fitting of tires without the unique Dunlop Denloc bead, which allows the installation of today's state-of-the-art, high performance 'Z' rated radial tires. 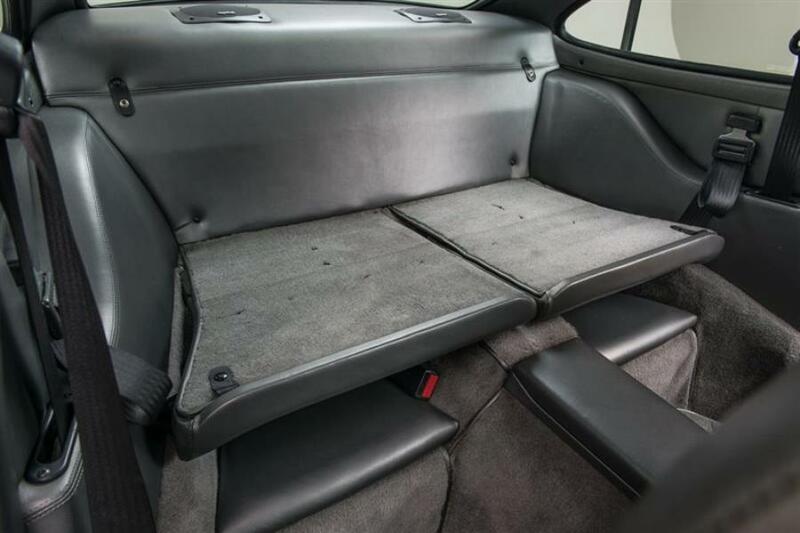 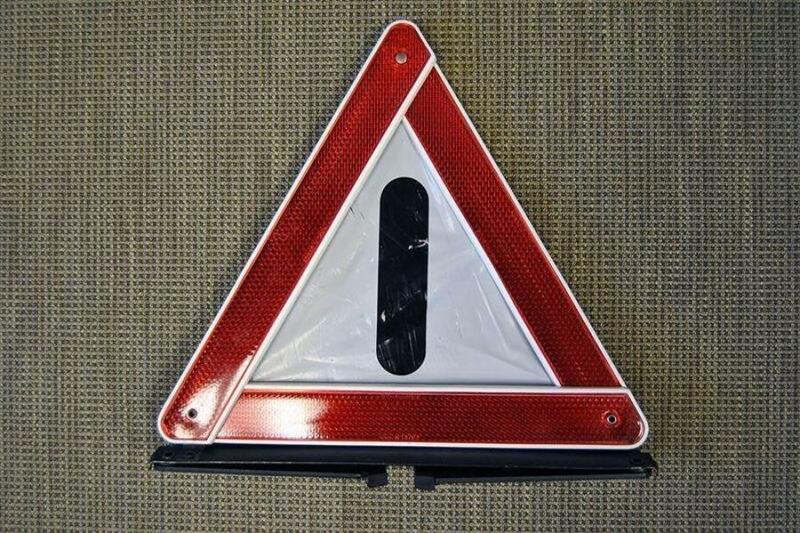 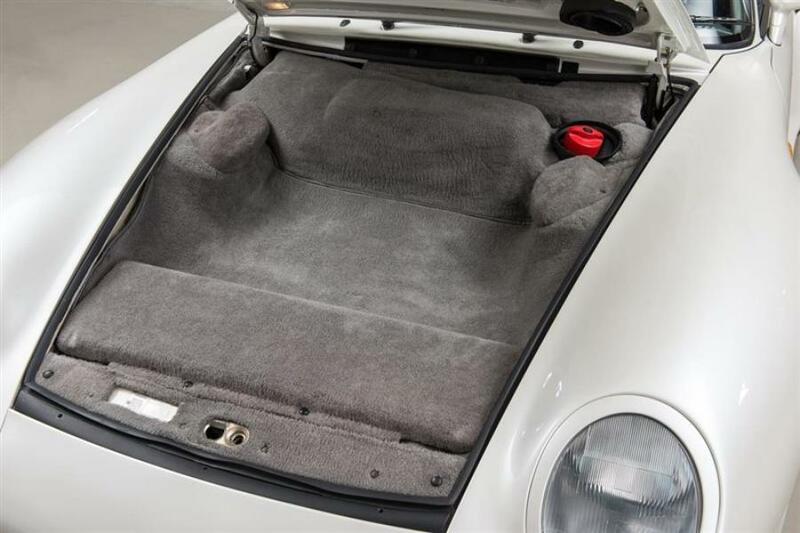 Additional benefits include greatly improved handling and grip. 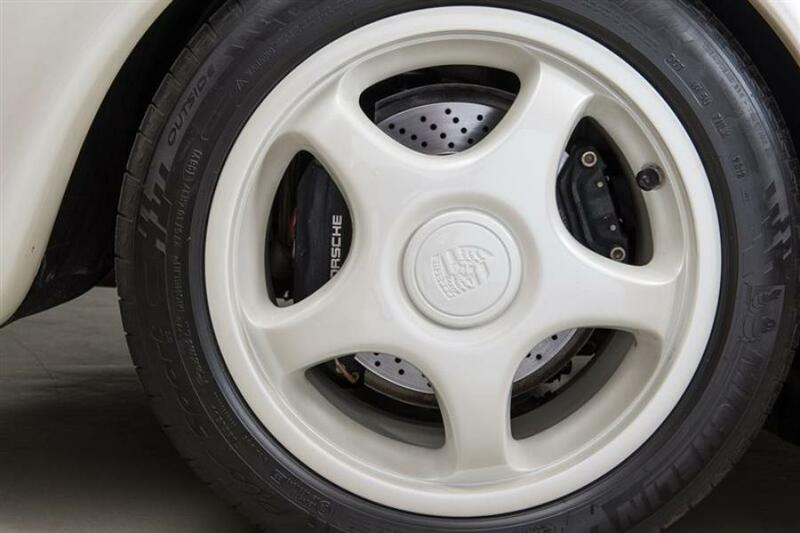 The wheels were repainted in the original Pearl White, and Michelin Pilot Sport PS2 tires installed. 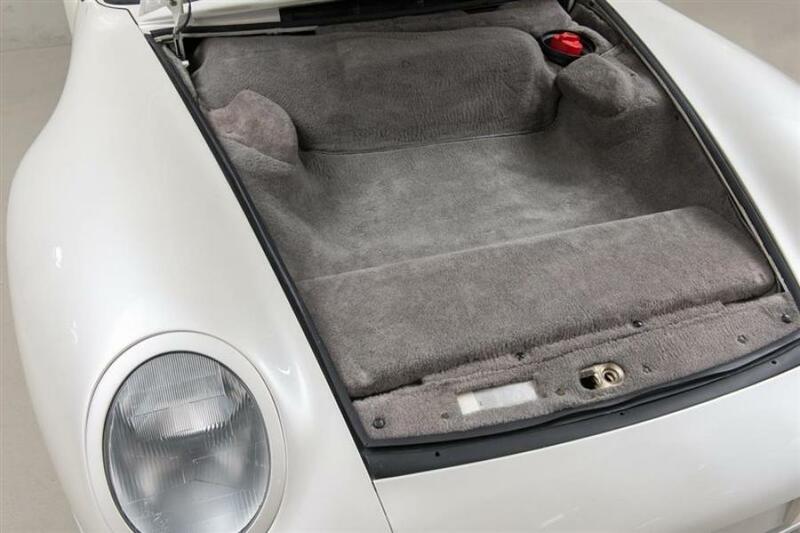 Canepa Headlight Upgrade: a new, upgraded wiring system is installed, along with stand-alone relays to handle the increase power of our brighter halogen headlamp system. 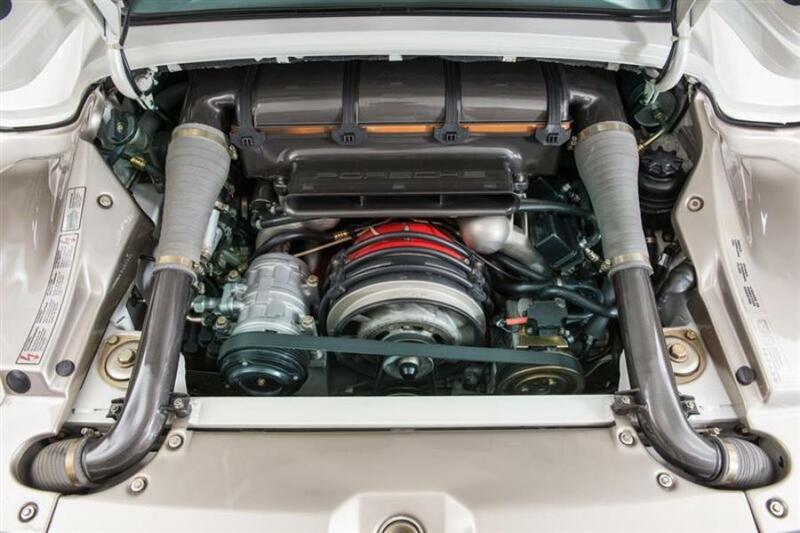 A full engine service / mechanical upgrades, as well as fluid changes in the differentials, transaxle, brakes, and cooling systems. 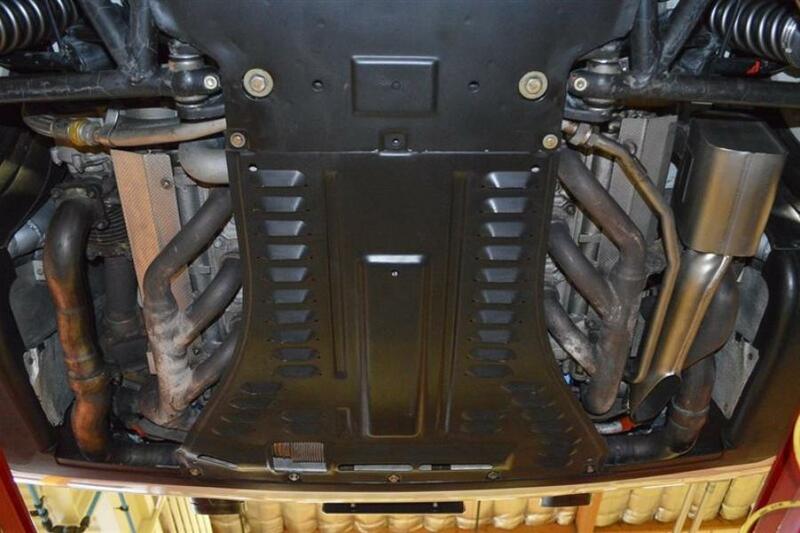 Replaced the fuel and evap system hoses. 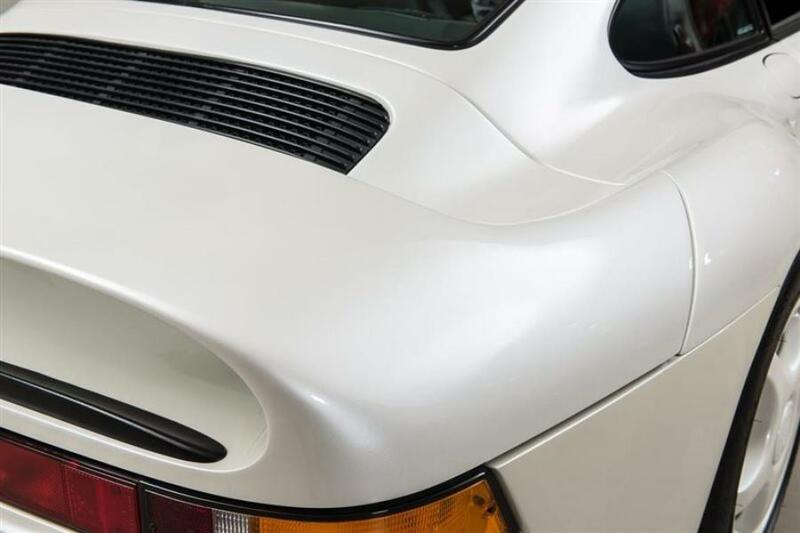 A complete concours level detail. 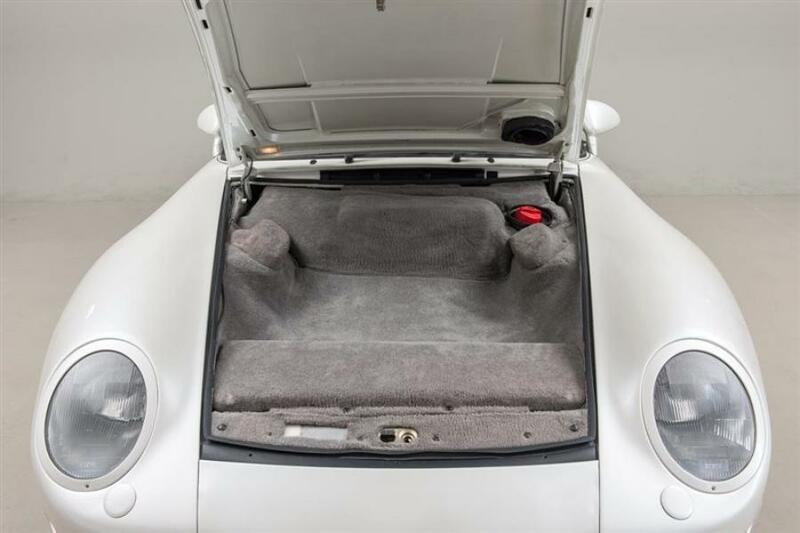 183 comes complete with its Porsche certificate of authenticity, original tool roll, air compressor, jack, wheel wrench and socket. 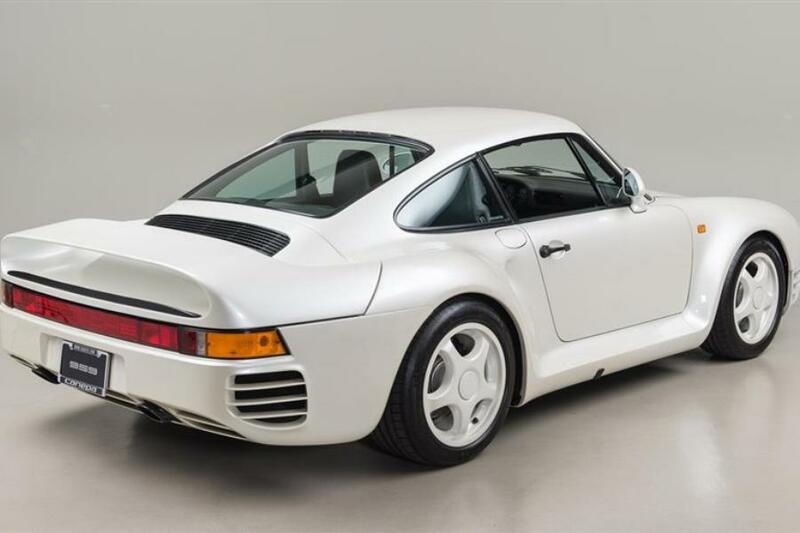 This is a rare opportunity to own one of the world's great supercars. 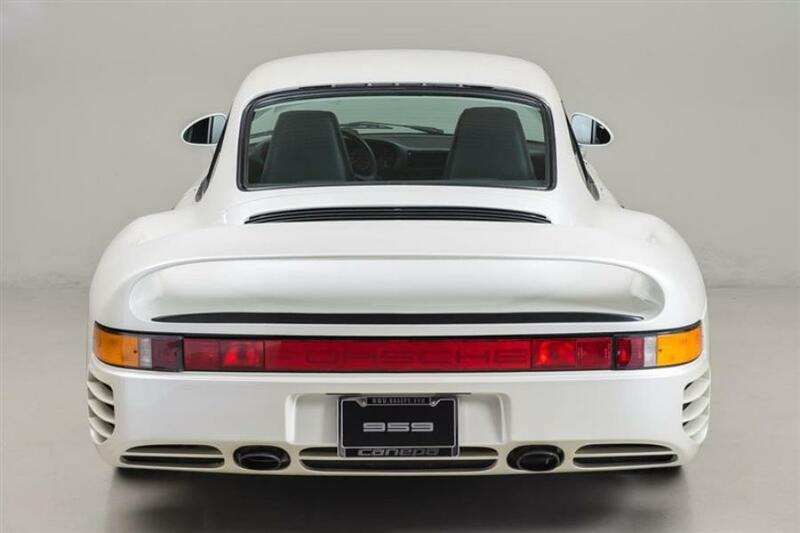 Ideally suited to the kind of collector that enjoys driving, it combines the comfort of a world-class touring coupe with absolutely jaw-dropping performance. 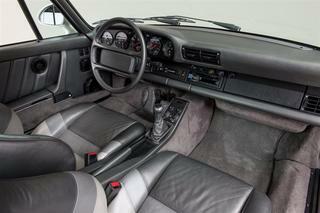 It has been concours detailed, fully road tested, and is ready for show or high-speed touring.